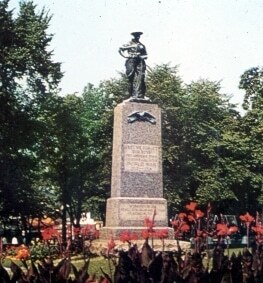 Major Isaac C. Elston purchased the land for Michigan City in 1830. 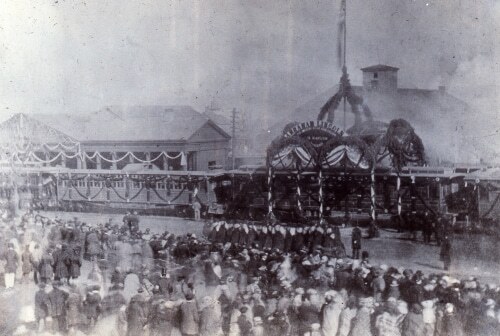 The town was officially incorporated on February 8, 1836. In the years since its birth, it has served as a grain center, lumber and shipping port, railroad city, recreational area and tourist attraction, industrial center, arts and cultural center, and All America town. The Indiana Room and non-fiction collections contain many local histories, atlases, maps, city directories, memoirs, church records, military records, and more. 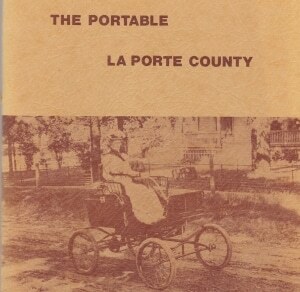 The Portable LaPorte County introduces the reader to the history of LaPorte County. It was written around 1978 as part of a larger LaPorte County History Project. 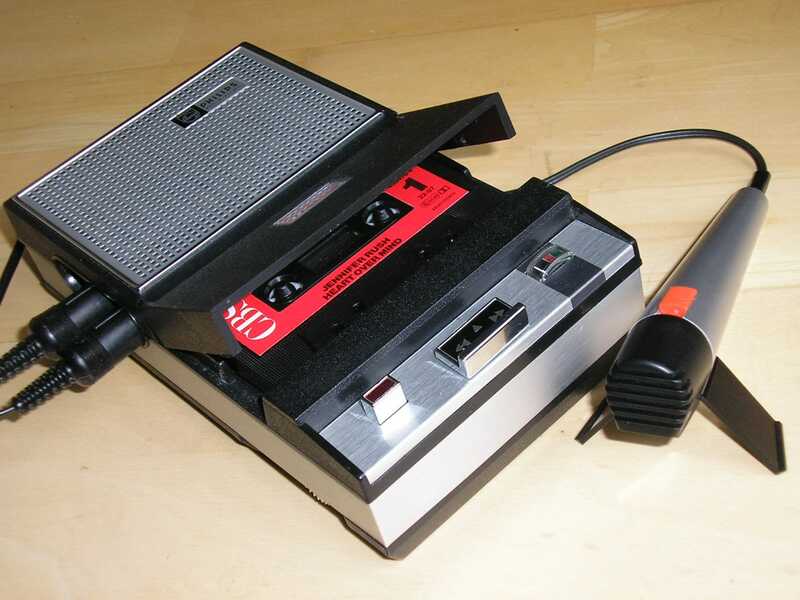 In the late 1970’s, local residents were interviewed to collect their memories of life in our community. Read transcripts of the oral history tapes, containing the reminiscences and beliefs of common citizens. 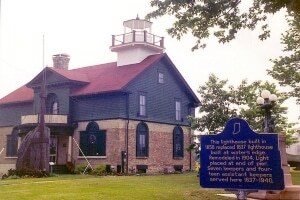 Take a self-guided tour of Michigan City’s military & historic sites with this guide to their history and location. 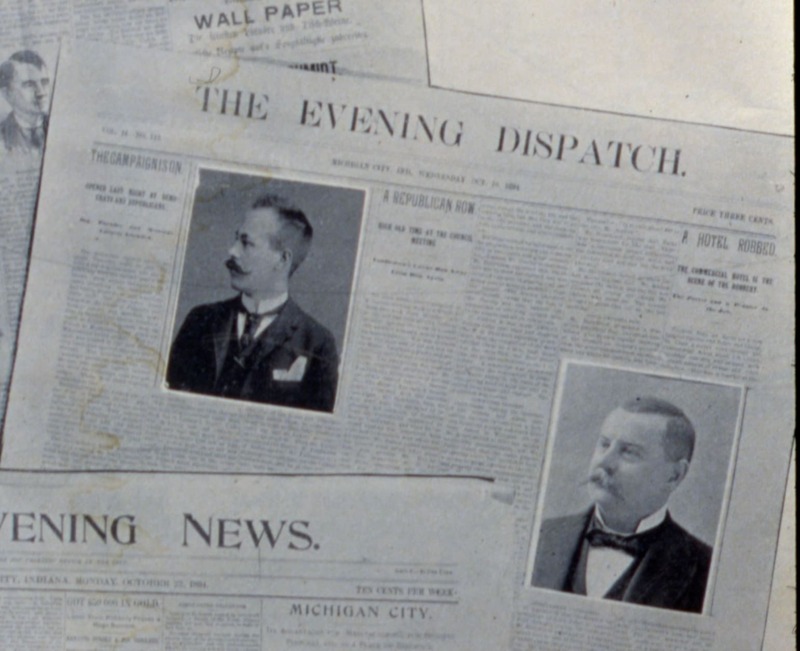 Past issues of the Michigan City News Dispatch and earlier newspapers are available on microfilm at the library. Click here to learn more about our collection. Looking for an obituary? Try the library’s obituary index. The library’s pamphlet files contain newspaper clippings, pamphlets, and other miscellanea related to the city’s history. 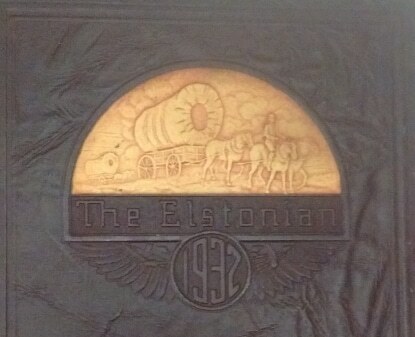 The files can be read in the Indiana Room at the library. 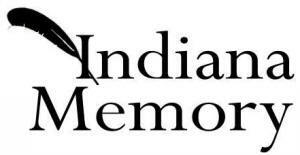 Indiana Memory, Indiana State Digital Archives, Indiana History Online, Hoosier State Chronicles, Chronicling America, and more. 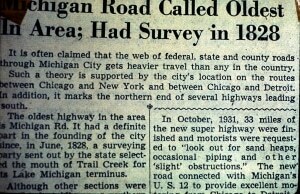 The Michigan City News-Dispatch published Our Heritage in installments between June 29, 1976 and July 3, 1976. It is reproduced here with their permission. 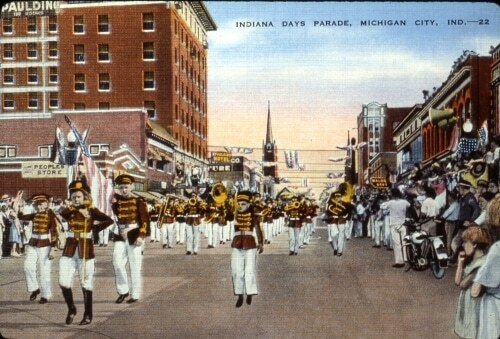 The library holds a collection of over 6,000 slides containing historical photos of Michigan City. A chronology of important dates in Michigan City history. Updated regularly. Michigan City and LaPorte city directories are available for use within the library. 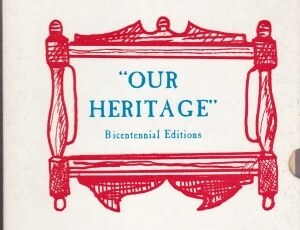 Click here to see the editions held by the library. 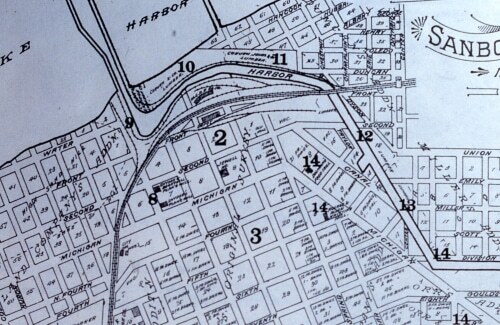 Information on Sanborn maps, property records, local atlases, and more. Yearbooks from Elston, Rogers, Marquette, Michigan City, and more schools can be used within the library. Click here to find a complete list of yearbooks held by the library. 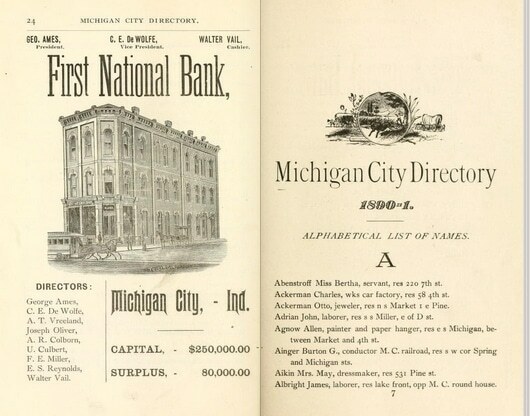 Additional local resources for information about the history of Michigan City.